In running a business, it is inevitable that you may run into such factors that you did not expect to have a huge impact on the business. Especially when your business goes into new ventures or product launch ideas, these factors should be carefully analysed to determine how huge their impact is. Companies use a lot of analytical tools to help them assess and evaluate external factors. 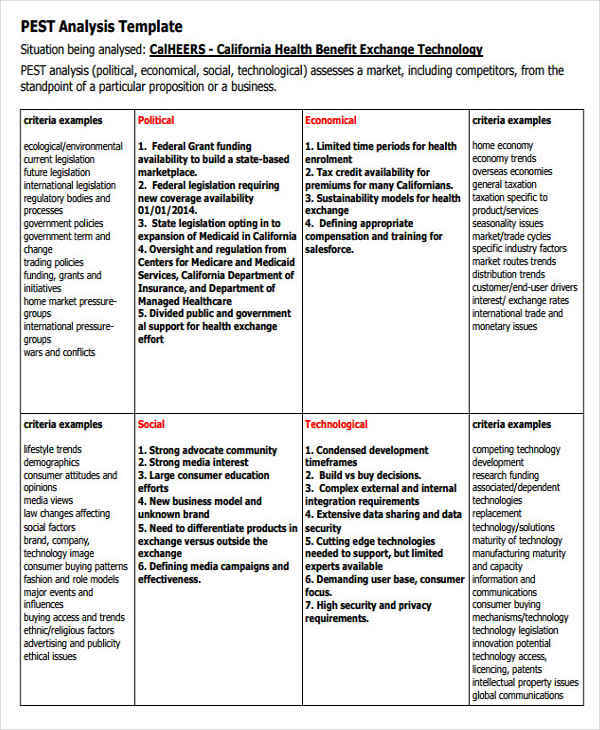 There is the SWOT Analysis which also plays a big part for assessing the factors and there is the PEST analysis which the most common tool used in many companies and one of the most effective. 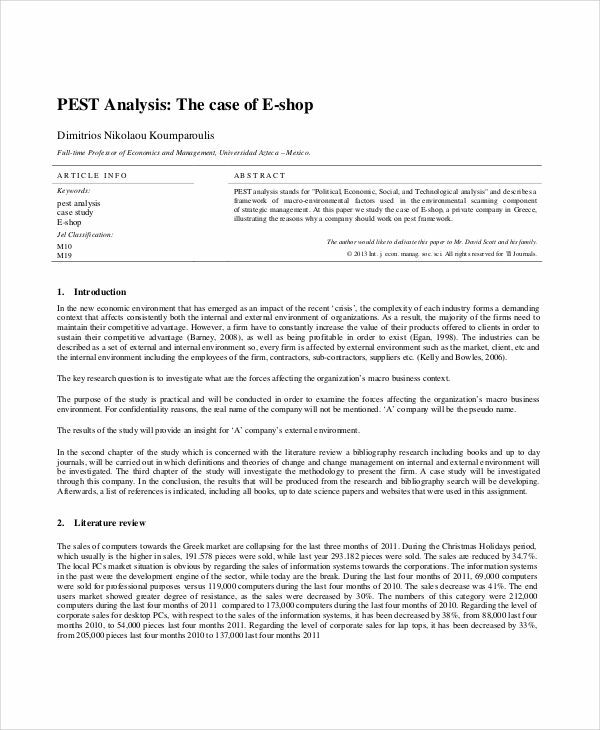 The PEST is an acronym for Political, Economic, Social and Technological. This analysis is used to evaluate those four factors that can affect the performance of your business analysis and determine how those factors will affect your business in the long run. 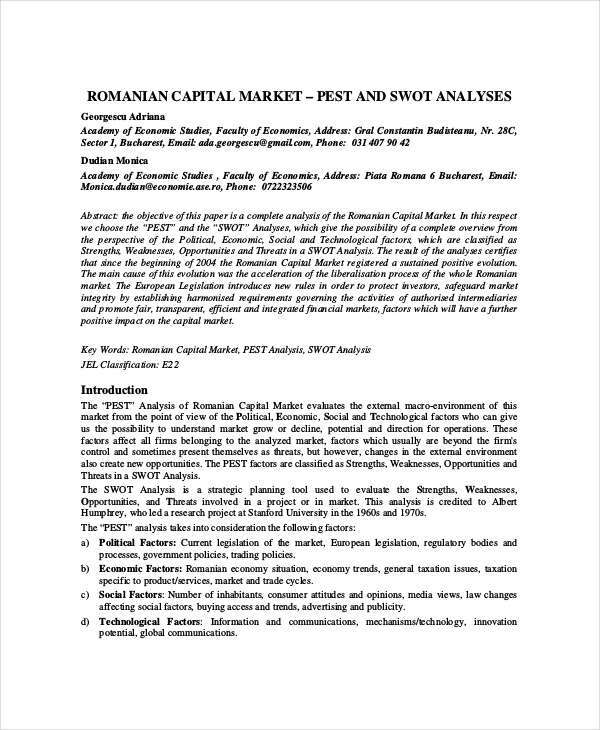 The PEST analysis is often used together with the SWOT Analysis and Porter’s Five Forces Analysis. Political. 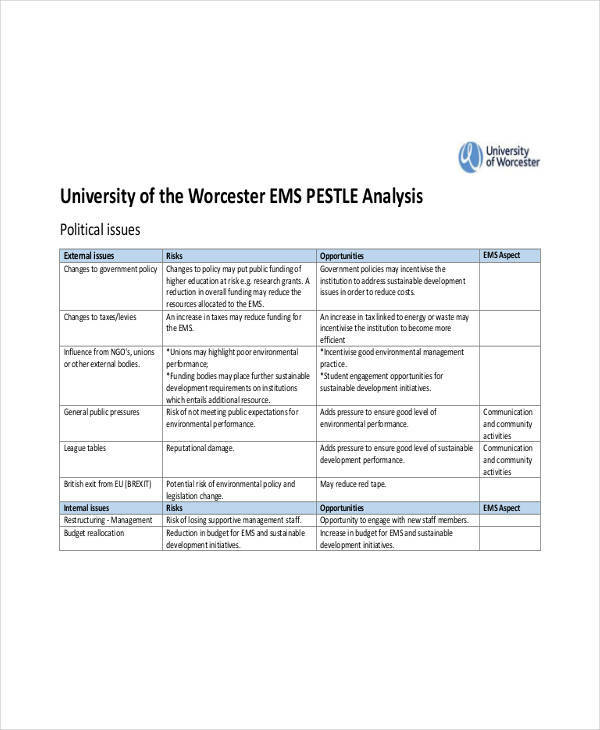 Since the political is sometimes involved in running a business, the Political factor specifically assessed government regulations and legal terms to determine their impact to the business. This includes evaluating the political stability, tax guidelines, trade regulations, safety regulations, and employment laws. Economic. Factors involving economic that may also affect the business is analyzed here, such as the inflation, interest rates, economic growth, the unemployment rate and policies, etc. Social. The social factor details the socio-economic environment of the market. This includes studying the demographics, cultural limitations, lifestyle attitude, behavior, and education of the customers. Technological. All technologies that are used to produce the product, either on a positive or negative result and all the process that involves using the technology is evaluated here. such as the technological advancements and the role of the internet. 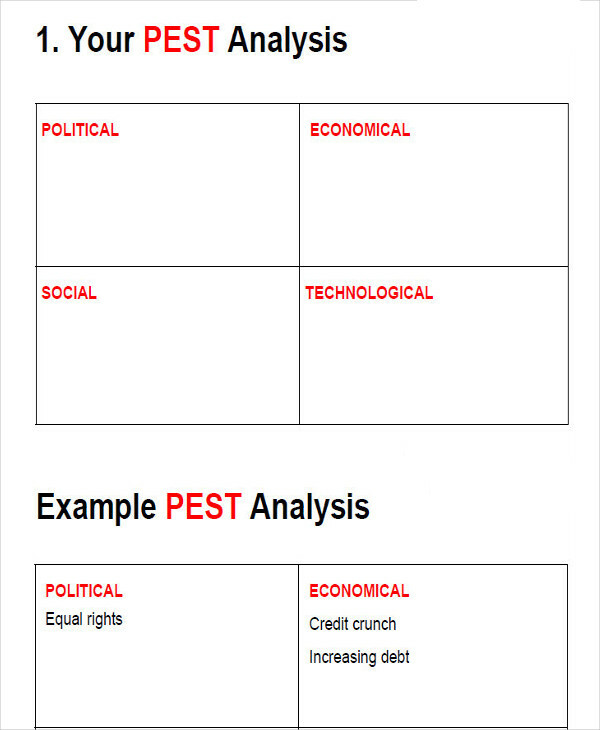 Why Is a PEST Analysis Important? 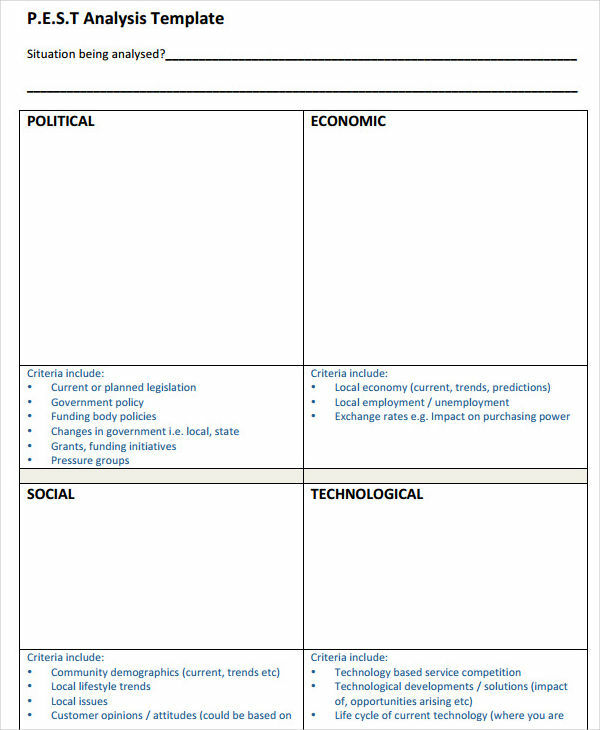 The main purpose of PEST analysis is to give the business a clear understanding of political, economic, social, and technological factors that can have a huge impact on the business if not taking into consideration. 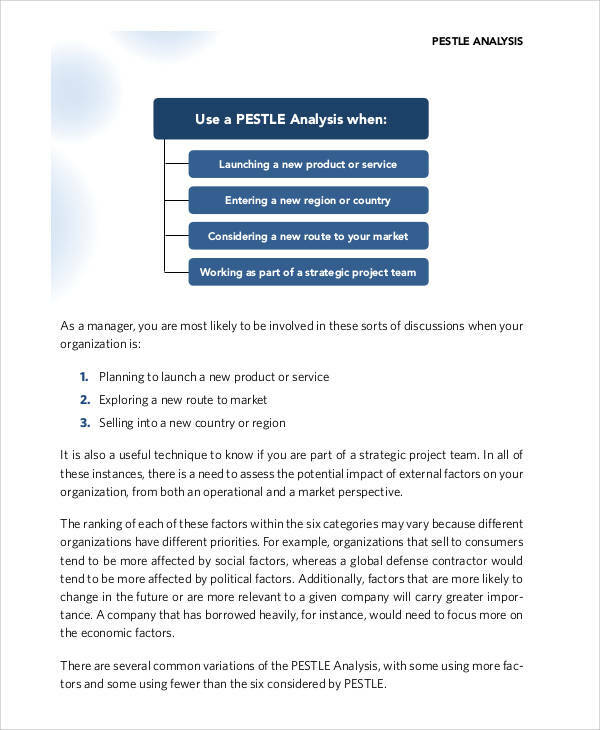 The PEST analysis also helps the decision-makers of the company to have an understanding of the changes that might occur in the market. These changes can influence the marketing plan of the business and its relationship that the company worked hard to establish. Giving time in conducting a PEST analysis and knowing the factors ahead of time will help the business in making better business decisions. 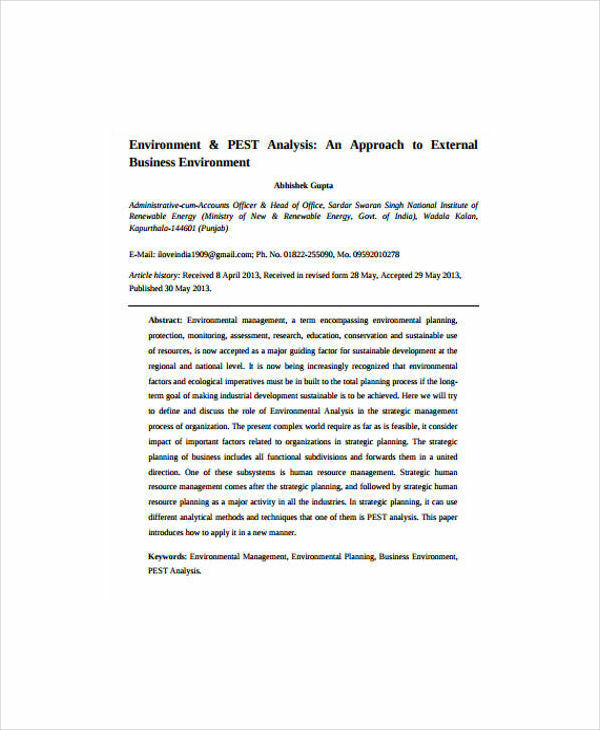 Although the PEST analysis is enough to evaluate the factors, many companies still use the extension of the PEST which is the “LE” that stands for Legal and Environment. 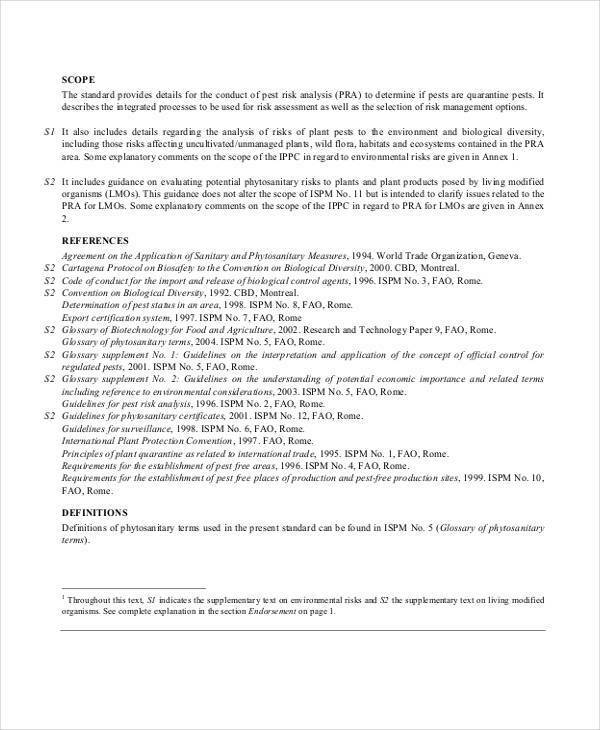 This also used to assess the two additional macroeconomic factors, Legal and Environment conditions that are believed to also have an impact on the business. Environment. The environment factor is used to analyze anything that is made and caused by the environment, such as the climate, weather, pollution, waste management, etc.